Since PUNKBUSTER dropped support for W:ET, there is no way to get a new GUID from punkbuster, and therefore you can not play on any punkbuster servers. On this website you can easily create a new guid by pressing GENERATE KEY in the menu. After that, you need to place this file inside your 'etmain' folder. 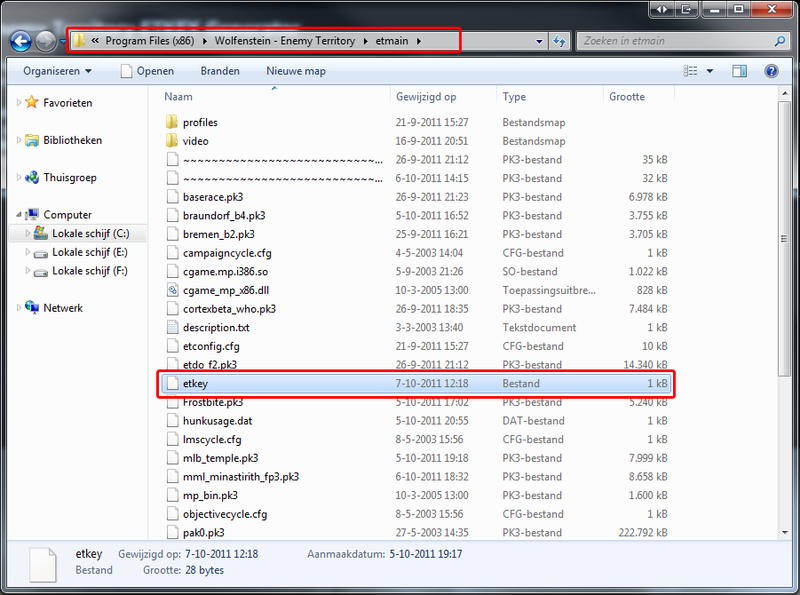 In here you will find a folder called 'etmain', here you need to save your downloaded etkey, if there is already an etkey placed, make sure you make a backup of that!